Being Retro: Summer of the T-SHIRTS... I LIKE BATS! Summer of the T-SHIRTS... I LIKE BATS! The Batusi is performed by making a horizontal V-sign with one's index and middle fingers of both hands, and drawing them across in front of the eyes, away from the center of the face simultaneously, with the eyes roughly between the fingers. This is performed in time with the music, and is improved upon by continuing to dance with the lower half of the body, simultaneously. I just had to watch the video. Thanks, Jeremy - you know, there are some things that once seen, you can't unsee. Well - I need another cup of coffee after that video. 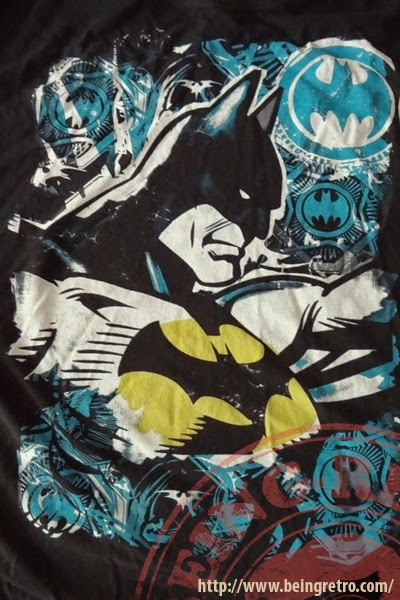 Haha, I remember the Batusi from repeated watchings of Batman :) Great shirt, as well. Buckaroo Banzai Against THE WORLD CRIME LEAGUE! Friday Facebook... Madness, I tell you MADNESS! FaceBook Friday as you thought I might forget! Summer of the T-SHIRTS... Ribbet Up!